Home » Social Media can be used for used for some much more than your political views and what you ate for dinner! Social Media can be used for used for some much more than your political views and what you ate for dinner! If you are a business owner or marketing department for a business? Do you understand Social Media, their different outlets, and how to use it for your companies benefit? 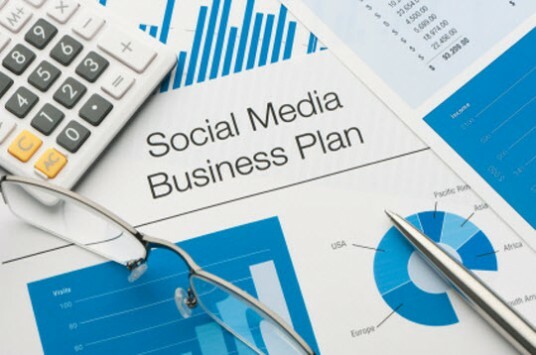 You need to come up with a Social Media Business Strategy. Let’s face it, Social Media is a place were you can go and waste a lot of time on everyday for many hours, but for businesses can use that to their advantage. We know that some people are on their social media accounts many times throughout the day, making it a necessity for companies to update and be active on their own Social Media pages. Because, Social Media Management is a great way to get referrals and leads for your business from people using their Social Media accounts. It is also a good way to stay in front of your current customers and clients which will increase the chances of them using you again. Branding: Brand your business by keeping your Social Media accounts the same look and feel as your website, logo, print, billboards, company vehicles, etc. The more brand recondition that you can get for your business, the better. New Business: It is a great way to get referrals for consumers looking for someone to do business with. (Example: You are a painter -> Your name is Joe Brush -> Someone updates that status on Facebook – “Does anyone know a good painter?” -> I see their status and say; “Yes, call Joe Brush, they are great…”) Do you see my point? Reputation Management: Social Media is a great place to get reviews and people talking good about your business. Use it to your advantage. Gain an audience: Social Media is a great outlet to gain a following and reach your audience with your message. DO NOT, DO NOT, DO NOT ONLY PUSH PRODUCT AND SERVICE ALL THE TIME! Make it fun by using humor and trendy topics that will get peoples attention and keep them interested. Offer something of value by writing things that can actually help people, maybe some good free advise. Offer more value by rolling out specials, sales, and promotions that are exclusive to your Social Media followers. Offer referral bonuses for someone that sends you a new client or customer. Doesn’t have to be anything crazy. Someone sends you client and you make $5oo from it, send them a $50 gas card. Everyone wants a free tank of gas! Be responsive and interactive with the people that write things on your pages or if they ask you a question. I hope you enjoyed my blog and these suggestions on how to be successful with your business on Social Media. Feel free to contact us with any additional questions or information on our Social Media Management programs.